I will be the first to admit that I actually wasn't planning on going through sorority recruitment until right before I got to college. 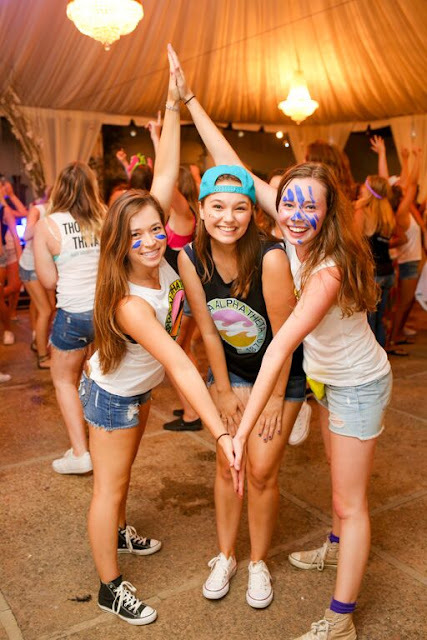 None of my family or close friends had been in Greek life, and all I really knew about sororities was based on a lot of negative and completely untrue stereotypes. I honestly was so clueless about the rush process, and I think that it actually ended up being the reason I had such a great experience throughout the intense week of recruitment. 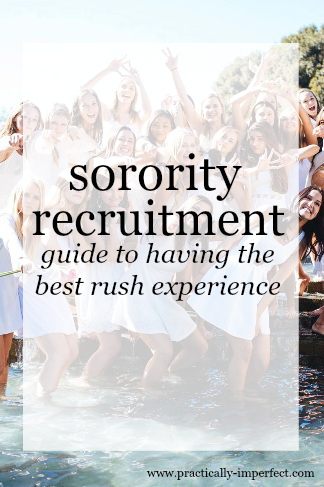 Since joining my sorority, I have come across so many blog posts all about rush- what to wear, what to talk about, how to act, the list goes on. I think those types of posts can be so helpful, but today I really just want to share the one tip that helped me have the most amazing experience through the entire sorority recruitment process. You will have the best rush experience by not focusing too much on exactly what to do, what to say, and how to act. 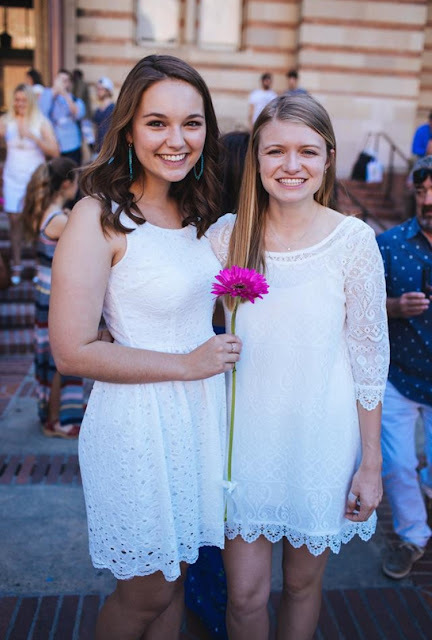 I know that I am a little biased being at a West Coast school where recruitment is less intense, but we still had over a thousand girls going through recruitment (and getting way too stressed out and intense about the whole process). I went in with zero expectations and was lucky enough to have an incredible experience. It really boils down to being confident in who you are. Many girls go into recruitment with an idea of exactly which house they want to end up in, and I on the other hand, was very naive. 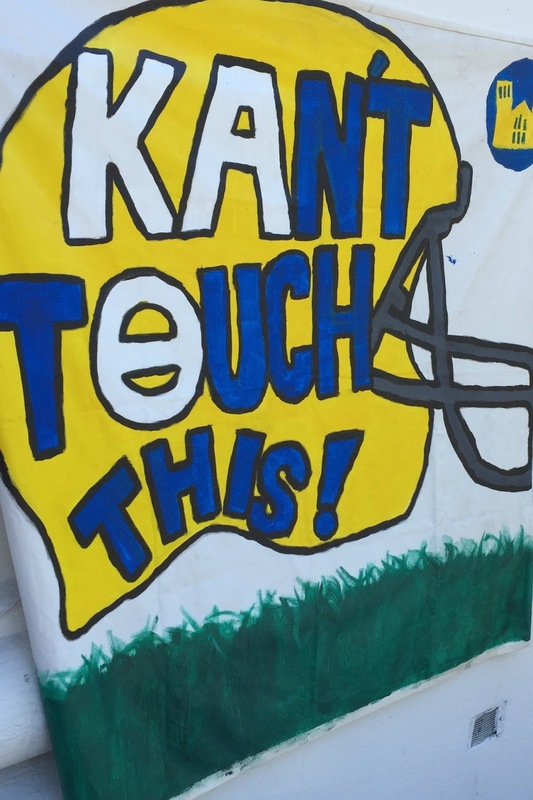 Like I said, I wasn't even planning on rushing at UCLA. I had no preconceived ideas of each houses' ranking or reputation, and I am so thankful for that! In each round, I stayed equally excited for each house, kept an open mind, and tried to see myself actually hanging out with the girls I talked to. Because I gave each house an equal shot, I feel like I ended up in the house I was truly meant to be in (go Theta!). If you're reading this and are about to go through recruitment, my encouragement would be to prepare for rush, but don't obsess. Don't stress over exactly what to wear, exactly how to act, exactly what to pack in your rush bag, and exactly what conversation topics to bring up. If you are meant to be in that house, those things like conversation going to come naturally. The less you focus on them, the more room they will have to evolve on their own. This process of mutual selection wouldn't exist if it didn't work. Trust the process, because if you do, it will work, and you will end up in the house you are meant to be in. Have faith in that, and rank your houses based on how you feel about them, not based on your preexisting idea of what house you should end up in. Each house is not perfect for each girl, but I really feel that if you trust the process and be yourself, you will end up where you are meant to be. Hannah, I had no idea you are a Theta! TLAM from Delta Phi!! !